The first season of competitive mode is about to end in a week and folks have been scrambling all about with criticisms of the mode. You certainly can’t please everybody but it is quite apparent that the most hot topic issue, unsurprisingly, is still the 1 Hero limit. Whether to have it or not, majority of the opinion leans on having it, but there’s still a big chunk of the population, including pro teams like Cloud9, are heavily favoring its removal. But what does this all matter in the grand scheme of things that include you and your Overwatch CD keys? Why should this be an important thing to you? If you don’t know why this is important, then you certainly haven’t been playing enough Overwatch. You see, back in beta and the early launch days of Overwatch, the meta of most maps mostly revolved around hero stacking. The staple was pretty much Double Winston, Tracer, and Lucio. Cloud9 achieved a lot of success with that team composition and others followed suit. Before 1HL in competitive was introduced, most people ran with this comp and even ran with other comps that were simply retarded and basically uncounterable by folks who really weren’t too serious on the game. It made things less fun when you had 5 D.Va’s chain ulting a capture point, making sure no one was able to even set their sights on the point. Or maybe even encountering six Torbjorns that pretty much shat on anybody inexperienced enough to fight compositions like those. This was even a problem with the game’s own system, Overtime, when the match would be extended way past than it should be due to the D.Va and Tracer stacking of the losing team just to hold on to dear life. Personally, it made the game pretty bad at times and made me want to get a refund on my Overwatch game keys. But Blizzard, afflicted by the learning bug, listened to the complaints of majority of the people and put in the one hero limit in competitive mode. Quickplay still has hero stacking, but it really is just the casual mode, so that’s fine. Other people, however, have been complaining that, since 1HL came into play, team compositions became static, urging the constant of 2 tanks, 2 dps, and 2 support. This is a pretty silly argument considering that, again, back in the stacking days, it was Double Harambe, Tracer, and Lucio – a composition of 2 tanks, 2 dps, and 2 support. Hero stacking actually made the game even MORE static as opposed to the belief of those on its side. The true blue meta of 2/2/2 is always going to be true in this game as with any team-based game. The diversity comes from the heroes chosen and not the varying number of roles. Pro teams now run a combination of the tanks in every game rather than just having 2 monkeys all the darn time. The same goes with the support as the three main ones, Mercy, Lucio, and Zenyatta, all bring different things to the table. Heck, sometimes teams even run 3 support. 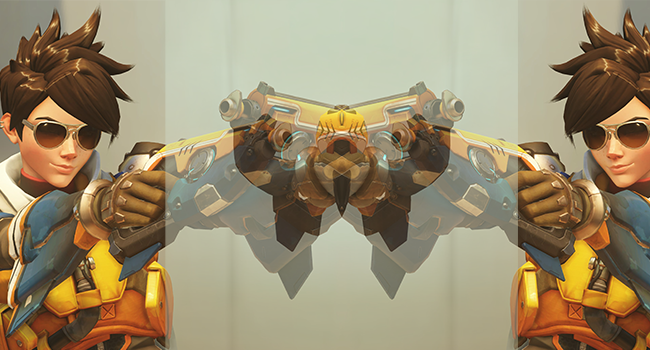 I’ve nothing to say about the DPS side of things because I find that very static due to the rise, fall, and rise again of McCree. Screw that guy. My point is at the end of this whole tirade is that the one hero limit (1HL) has been nothing but good to the game. The progress of Overwatch in the past 3 months of its existence has been superb and I certainly got my money’s worth for the Origins CD keys I bought.